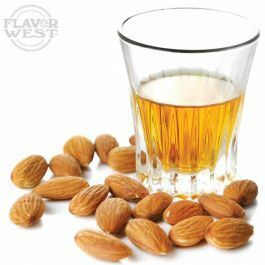 Almond Amaretto flavor is widely used for different kinds of popular drinks. It delivers the aroma and taste like a toasted nut flavor. Almond amaretto flavor perfectly complements almond cookies, applesauce, chocolate recipes, and cakes. Type: Almond Amaretto Water Soluble Flavoring. Ingredients: Natural and Artificial Flavoring, Triacetin and Ethanol. USP Kosher Grade Flavoring. Usage Rate: 15-20% for E-use. Flavor suitability: Drinks and beverages, Desserts, pastries and baked treats, yogurt, ice cream, candy and more. Specific Gravity: 1.11 No Refunds on Flavoring.